The lost heir to the SeaWing throne is going home at last. She can’t believe it’s finally happening. Tsunami and her fellow dragonets of destiny are journeying under the water to the great SeaWing Kingdom. Stolen as an egg from the royal hatchery, Tsunami is eager to meet her future subjects and reunite with her mother, Queen Coral. But Tsunami’s triumphant return doesn’t go quite the way she’d imagined. Queen Coral welcomes her with open wings, but a mysterious assassin has been killing off the queen’s heirs for years, and Tsunami may be the next target. The dragonets came to the SeaWings for protection, but this ocean hides secrets, betrayal—and perhaps even death. Tsunami thinks her home will be a safe haven and dreams of eventually becoming queen in her mother’s place. Though, the rest of the dragonets have reservations which are proven when they’re separated from Tsunami and left behind. Meanwhile, Tsunami grows up quite a bit when confronted with an assassin and suspects a traitor within her mother’s inner circle. This is a solid sequel in the Wings of Fire series. The focus and character development is almost solely on Tsunami in this installment. And there is no lack of suspense, mystery, and intrigue. This latest fantasy adventure is an exciting and intense read. 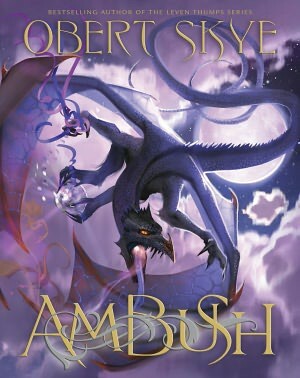 Unique and unpredictable, this is an incredible fantasy series where dragons of various races are the dominant species on the planet. The seven dragon tribes have been at war for generations, locked in an endless battle over an ancient, lost treasure. A secret movement called the Talons of Peace is determined to bring an end to the fighting, with the help of a prophecy – a foretelling that calls for great sacrifice. Five dragonets are collected to fulfill the prophecy, raised in a hidden cave and enlisted, against their will, to end the terrible war. But not every dragonet wants a destiny. And when the select five escape their underground captors to look for their original homes, what has been unleashed on the dragon world may be far more than the revolutionary planners intended. There are fantastic drawings and descriptions of each of the dragon tribes at the beginning of the book that made for a necessary reference when trying to keep the characters straight while reading. The dragons have human-like personalities, especially the dragonets, raised to bring peace to the world. The young dragonets have good hearts and not at all violent. Even the central character Clay, a MudWing, who supposedly attacked his peers’ eggs as soon as he hatched – can’t seem to bring forth that fury within himself again. So, when the dragonets emerge from their secluded place of protection and training, none of them are prepared for a world where dragons have lived in war for ages. The dragons on the outside are hard, violent, and cruel – with a vastly different set of moral conduct. I absolutely fell in love with Sutherland’s world of diverse dragons, intrigue, and prophecy. But the highlight of the story is certainly the five young dragons, and Clay in particular. Their bravery, selflessness for each other, and innocence is heartwarming in the midst of their dark surroundings. Wings of Fire is the first in the Dragonet Prophecy series with plenty of promise. The series is marketed for middle readers, but can be enjoyed by fantasy fans of all ages. Though it is somewhat dark and could be a bit violent at times for younger children. Full of adventure, suspense, fascinating characters, and plenty of surprises along the way – this novel was impossible to put down. I’ll be eagerly awaiting the sequel, planned to release in January 2013. Greatshadow is the elemental dragon of fire, feared and hunted to no avail. But when Infidel’s friend dies suddenly, she decides to join the latest quest to destroy Greatshadow for the promise of the dragon’s horde. Infidel has to hide her identity in order to join the eclectic group of hired men and women who are constantly at odds. The Church of the Book has sanctioned this quest, confident that if they fail, then the end of the world will be near. Told from the point of view of a recently deceased character, Maxey has created a unique and exciting fantasy world. As with his previous series, the setting is dark with plenty of action and violence. But this new series has a fun bite of humor throughout, from eccentric characters like a skunk man who repels with his body odor to Infidel’s crazy body armor. This quest-based fantasy has strong characters, a fascinating world, plenty of humor and plenty of heart. With mystery, magic, and mayhem – there is never a dull moment in this well-paced adventure. As a fan of author Lawrence Watt-Evans, I couldn’t help but see similarities with the humor and spirit of his Ethshar series and Maxey’s Greatshadow. It was highly entertaining and thoroughly enjoyable. I’m looking forward to the next in the series, Hush, which is set to release in late June. Beck, Kate, and Wyatt decide to dispose of the last remaining dragon egg stone where no one can reach it. And as hard as it is, Beck lets the stone go. But the plants in the town of Kingsplot don’t seem happy. Mushrooms cause havoc in a museum and a cactus attacks Beck in the middle of the night, yet somehow Beck gets blamed for it all. The Kingsplot’s residents seem to have forgotten the dragon attacks and find it easier to get angry at Beck, save for the Sheriff who must constantly write everything down to remember. Beck’s father is in the hospital, still suffering from a mental breakdown. And after a visit with his father, Beck’s mind begins to cloud with the Pillage curse once again. This is the third and final installment in Skye’s Pillagy series. Beck’s quick wit and humor are the highlight of this quirky fantasy trilogy. He is constantly attacked by plants and then blamed for the outcome by adults, but instead of getting angry or throwing a fit – he turns to sarcasm and his endless patience. Even when under the lure of the dark curse, Beck is still a sympathetic character. While it’s obvious the final egg will hatch, the anticipation and suspense are fantastically built up to a climactic, final showdown. I love this creative adventure series. And its satisfying conclusion did not disappoint. 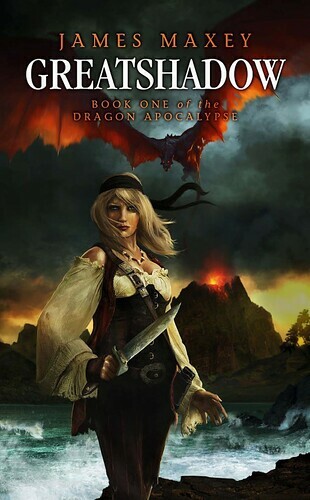 Fantasy fans of all ages should enjoy this incredible adventure full of pillaging dragons, an enormous manor with endless secret passages and hidden rooms, and eccentric characters that always amuse.